Lois was an outstanding guide. She went above and beyond in planning our day to Victoria. She arranged for us to dine at the legislative dining rooms in Parliament House - which was a highlight. She was a wealth of information and could explain things in an easy to follow manner. 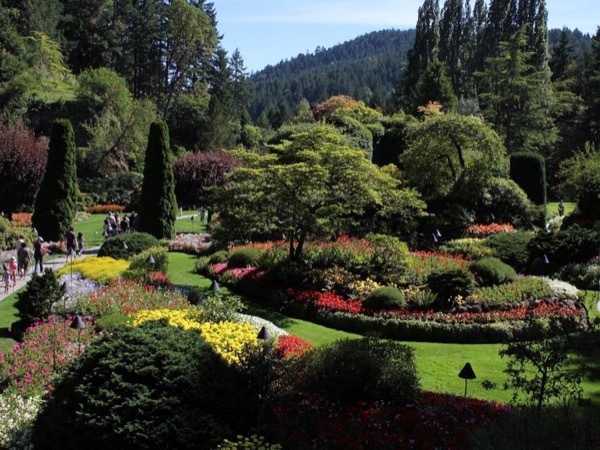 Butchart Gardens was a highlight and Lois tailored this part of the tour to maximise our time there. We really enjoyed Lois' company and the day flew past as we were having such a good time. Lois was a great guide that we would use again and highly recommend to anyone. We saw different sights than you would on a tour bus at our own pace, stopping when we wanted to. Lois' level of customer service was exceptional, nothing was too much trouble, even stepping outside her comfort zone to learn chess with our 13 year old while allowing us to explore Butchart Gardens. Her communication before the tour was excellent, her knowledge of the area fantastic and her car very comfortable. Worth every $. What a wonderful day she planed for us. She was fun, professional, creative and let's add amazing. Everything went as planed plus some great surprises that made a great experience even better. We could not haves asked for a better time! Picked us up at the ferry and gave us a wonderful tour of Victoria and then escorted us by ferry to Vancouver. Can't say enough good things about her and the tour. Spent two days with Lois, one in Victoria and one in Vancouver and had a great time both days. She is very knowledgeable, personable, and fun to be with. Fell in love with Vancouver (her influence no doubt), We would love to go back and spend more time there someday and we would certainly hire Lois to guide us again! We had a great time with Lois who was knowledgeable, considerate, handled all the details with a sure hand and was a lot of fun to tour with! Lois' provided insightful commentary; if she didn't have the answer, she would research it for us right on the spot. We enjoyed her company and would highly recommend her for a tour of Victoria. TOUR GUIDE RESPONSE: Thanks Dilek. Hope to see you again soon!